A recipient of international awards including the 1959 Paris Biennale International Painting Prize and a Gregory Fellowship at Leeds University, Trevor Bell received additional recognition after a large traveling retrospective of his work in Scotland, Ireland, and England in 1970 and a solo exhibition at Washington, D.C.’s Corcoran Gallery in 1974. He became a professor of graduate-level painting at Florida State University in Tallahassee in 1976 and remained in this country for 20 years before returning to England, where he continues to exhibit widely. Bell’s works are in the permanent collections of the Tate Gallery, the British Museum, and the Victoria and Albert Museum. 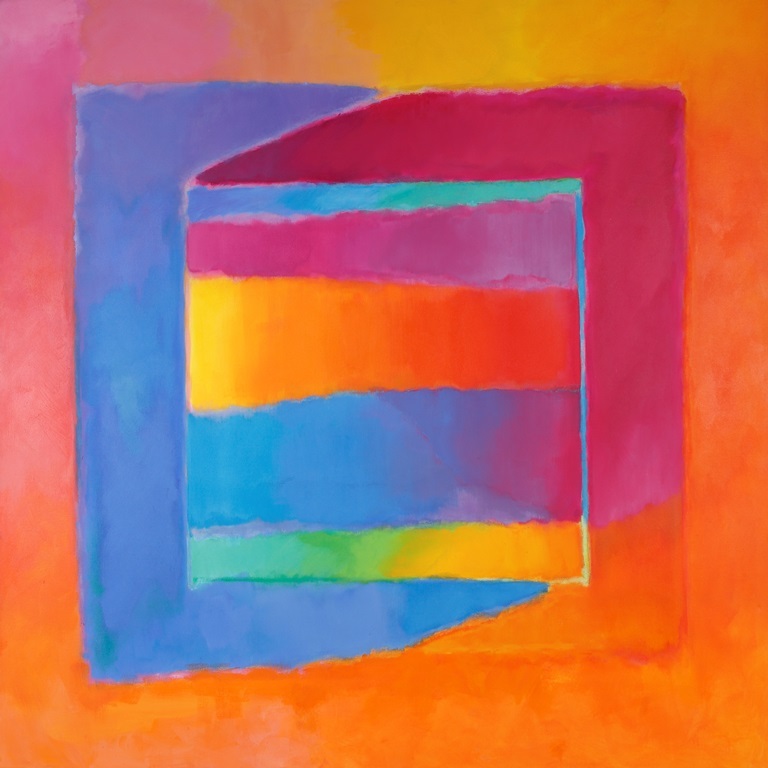 His works illuminate the dichotomy and harmony between vibrating color and perceived immediacy of expression, within the parameters of a more formal structure.